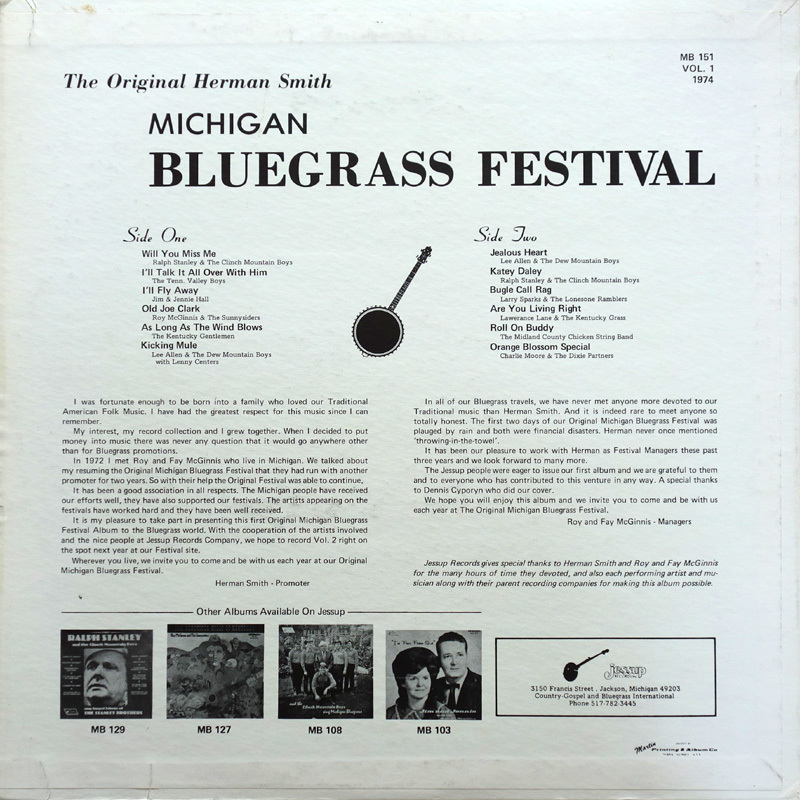 Recorded live at the 'Original' Michigan Bluegrass Festival, 19-20th July 1974, this is flawed but nonetheless interesting document. The recording is quite 'tinny', with some wind-noise on the microphones and sometimes abrupt cuts in inter-song dialogue. But, it is still a wonderful slice of history, capturing both headline and lesser known groups. 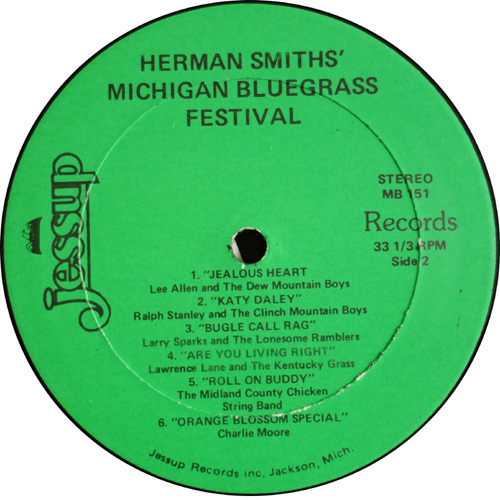 Ralph, performs two numbers with Keith Whitley on vocals: a spirited rendition of Katy Daley; and Will You Miss Me which gains added poignancy with it being recorded about 11 weeks after Roy Lee Centers had been murdered. 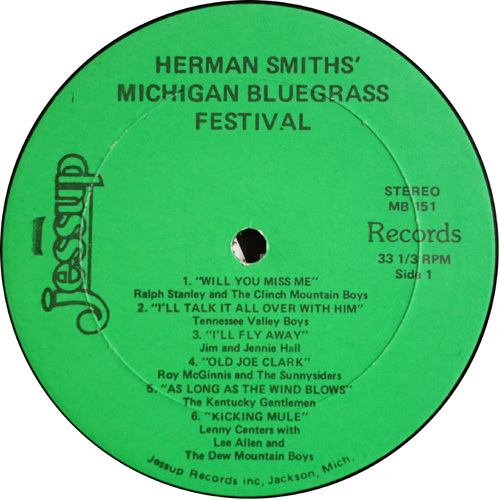 There are also two tracks by Lee Allen & The Dew Mountain Boys, whose first album, Songs Of Love And Tragedy featured the Clinch Mountain Boys. Here, Roy Lee's 12 year old son Lennie Centers gets to pick banjo on Kicking Mule. 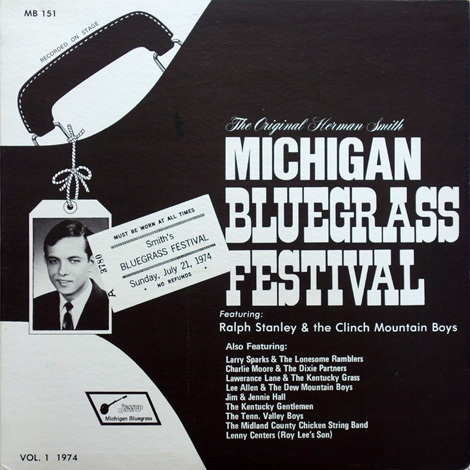 It's possible that ex-Clinch Mountain Boy, Ron Thomason is also present, as he played on Lee's 'I'm Leaving You Darlin' (Jalyn JLP-153) LP recorded the same year. 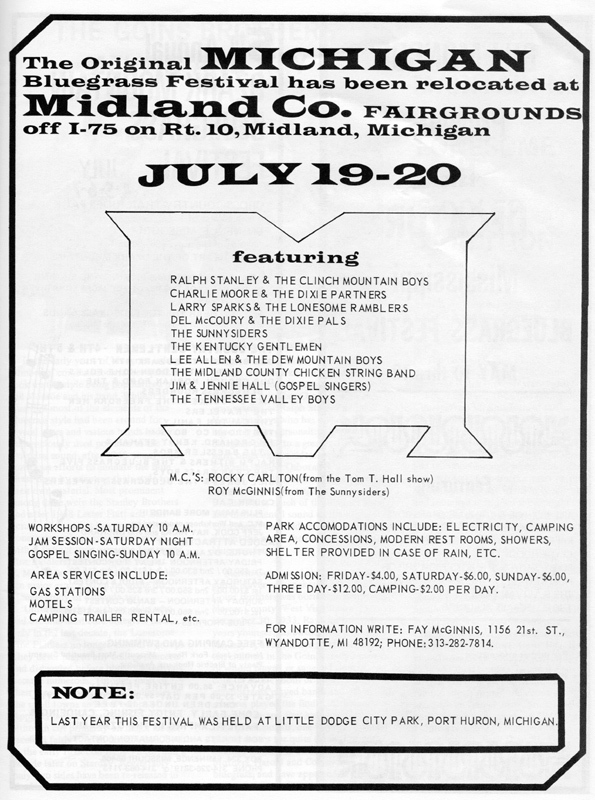 Although promoted as by 'Herman Smith' the festival looks like it was managed by Roy and Fay McGinnis. Fay was of course the president of The Stanley Brothers fan club.